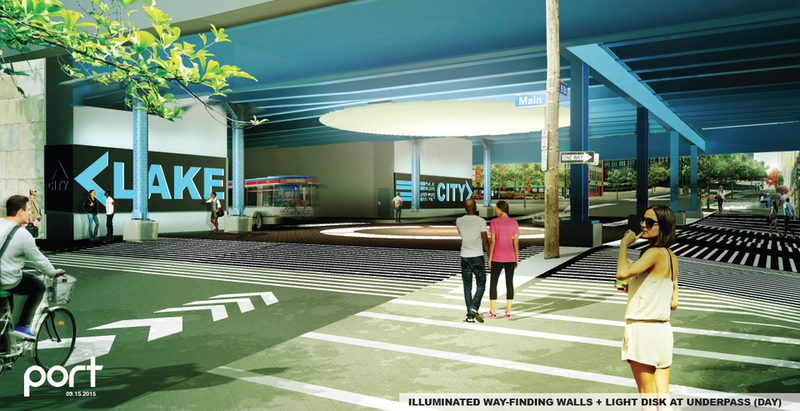 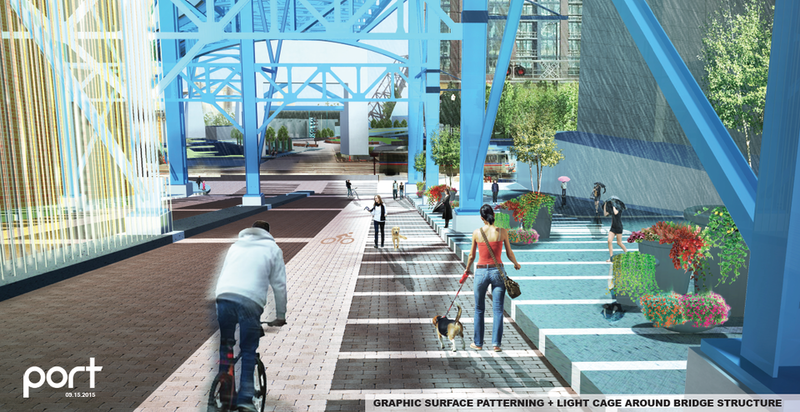 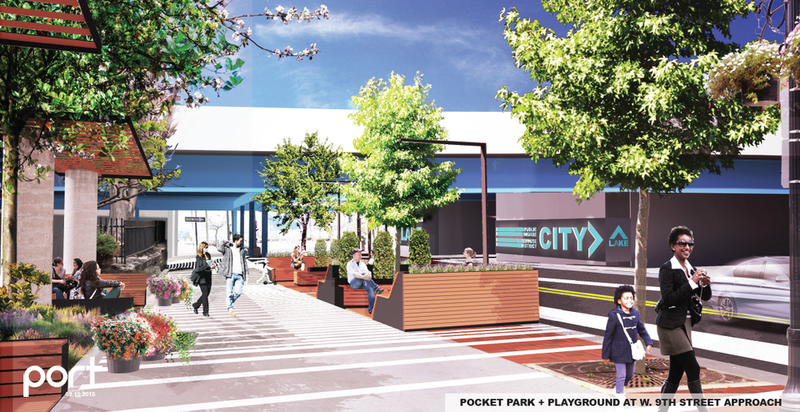 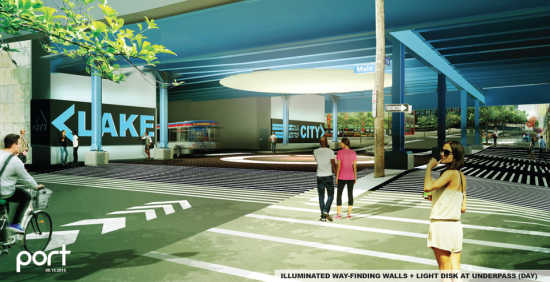 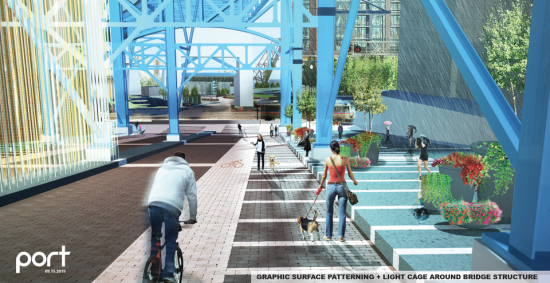 Chicago-based PORT Urbanism will work with the Downtown Cleveland Alliance to turn a forbidding underpass near Cleveland‘s warehouse district into a vibrant pedestrian space, now that the Chicago-based firm has been selected as the winner of a design competition to revive the Main Avenue Bridge. 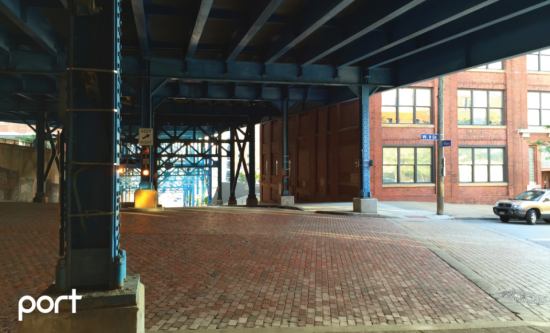 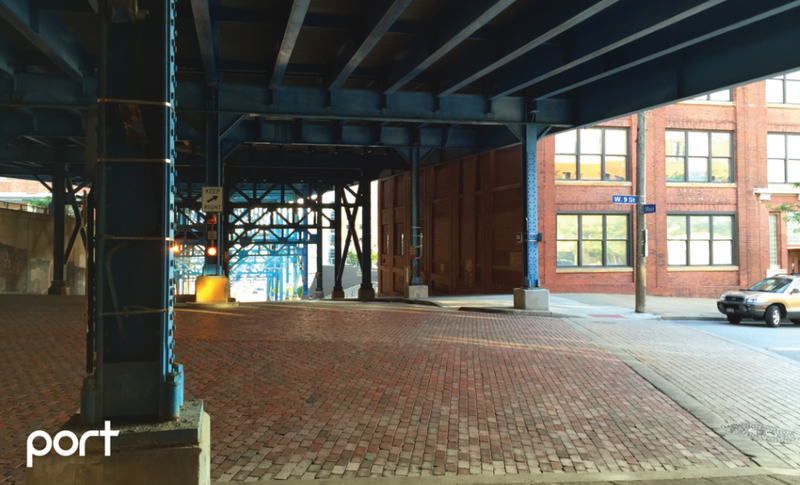 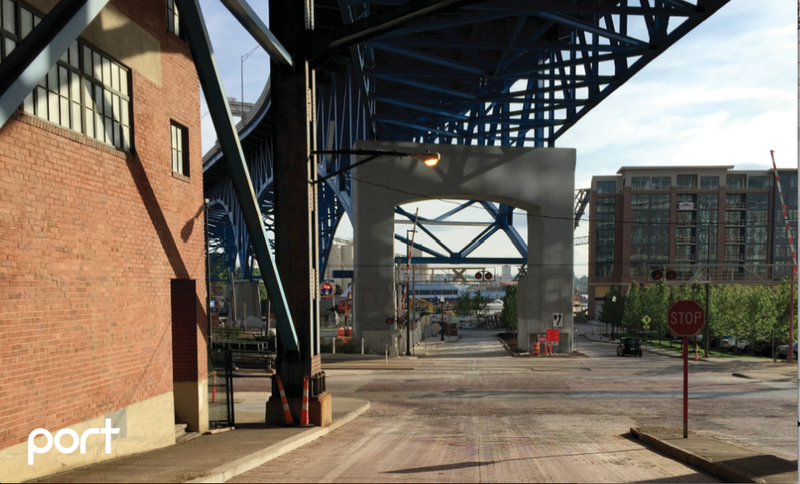 The dark and shadowy underside of the bridge, which rises above Main Avenue as the road descends west of West 9th Street at the edge of the Warehouse District, can feel confusing to motorists and unwelcoming to pedestrians. 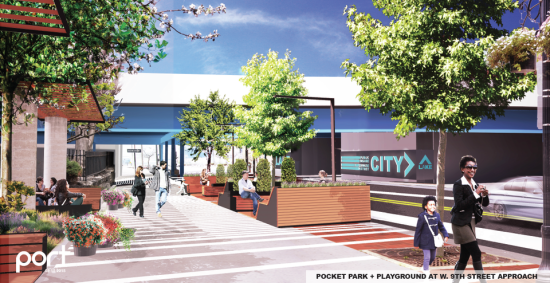 The firm’s proposal, which comes with a tentative budget of $800,000, beat out plans from two other finalists: New York‘s Balmori Associates and fellow Chicagoans Latent Design. 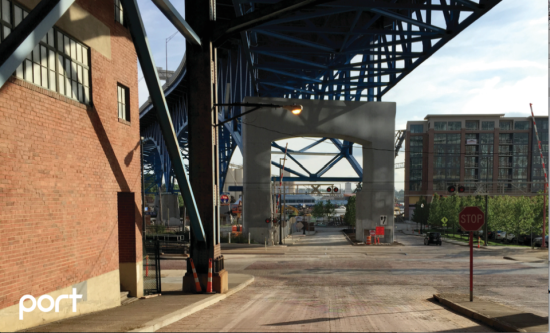 That money will have to come quickly, as the project is scheduled to open before the Republican National Convention meets in Cleveland next year.